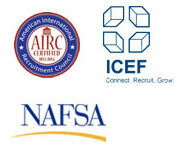 AAEStudyUSA.com is owned by Access American Education LLC, a full service education consulting agency that helps international students with career counseling and placement in U.S. and Canadian high schools, boarding schools, colleges, universities, and other educational institutions. Our Education Consultants provide customized attention to each of our students and their families. We have relationships with a wide range of North American educational institutions so as to place students in a school that best meets their needs and resources. We do not subscribe to the “one size fits all” theory of student placement. We also work closely with a Philadelphia law firm to assist with visa problems and other legal issues, should they arise. View our main website: Access American Education LLC for more information and information on members of our team.